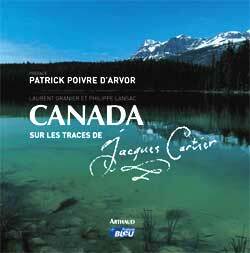 By sail, in canoe, on horse and by dog-sled, the author left in the footsteps of Jacques Cartier who, under the order of Francois the First to discover the New World, departed France in 1534. In command of 2 ships and 60 men, this expedition, after landing in Newfoundland, continued their journey to the mainland of Canada and up the Saint Laurent River. Laurent Granier and Philippe Lansac, photographers and travel-writers, traveled across Canada for one year, from east to west: from the Atlantic coast where Cartier´s first boats landed, on to the Pacific and the frontier of Alaska.